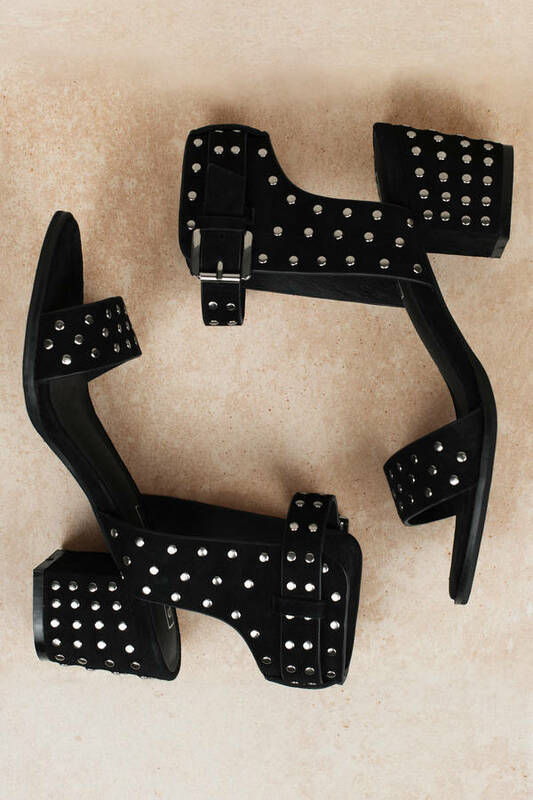 Check out Tobi's Porter Stud Heel We absolutely adore the Sol Sana Porter Black Stud Heel by Sol Sana! Featuring stud embellishments throughout on a soft suede with an ankle buckle closure and padded sole. We absolutely adore the Sol Sana Porter Black Stud Heel by Sol Sana! Featuring stud embellishments throughout on a soft suede with an ankle buckle closure and padded sole.